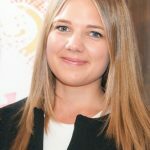 As a Health Writer, Harriet has over five years of experience writing for consumer, industry and national media. Harriet was a columnist for the Complete Nutrition Magazine for two years, for which she delivered nutrition-related articles to a readership of 13,000 healthcare professionals. She was recently awarded the Complete Nutrition Magazine 'Writer of the Year' award for 2018. Modafinil is a popular smart drug is which is said to prevent tiredness, increase productivity and boost mental performance. Smart drugs, also known as “nootropics,” are natural or synthetic substances taken to improve cognition function. This review digs into the scientific evidence behind modafinil to see if it’s really all that “smart” for you to take. With everyone talking about probiotics nowadays, there seems to be an infinite amount available to purchase. One of these probiotic supplements is Bio X4, which claims to assist with weight loss by reducing appetite, curbing food cravings, enhancing digestion and boosting metabolism. Here, we examine the scientific evidence behind the ingredients of Bio X4 to see if these claims hold up. Weight loss is a multi-billion dollar industry, with countless diet plans, products and supplements available. Weight loss teas have become increasingly common as a way to quickly and easily lose weight. One of these products, Iaso Tea, claims to support instant weight loss through intestinal cleansing. Some customers report impressive results, but how valid are these reviews? Here, we compare Iaso Tea’s promises to scientific evidence to see if the product is as good as it claims. 310 Shake Review: Do These Meal Replacement Shakes Really Work? The diet and weight loss industry is worth over $70 billion, because dieters want to see results as fast as possible. Meal replacement shakes are especially popular because they offer a convenient way to have a low-calorie meal on-the-go. Here we present an objective scientific review to see if one of the top-selling brands—310 shakes—are really as good as they claim to be. Perfect Biotics Review: The Perfect Formula for Health? The probiotic industry is booming. Perfect Biotics are just one of the many probiotic supplements available to purchase. Their range includes products which are said to benefit digestive health, immunity and weight loss. Are Perfect Biotics really that perfect? Do they live up to their bold health claims? This article is a science-based review.